Hi, I hope it's correct to start a new thread on the Lego Harry Potter Visual Dictionary, if not Mods pls feel free to merge or close this thread. I found a listing on Book Depository here, costing RRP £14.16 (£10.62 after 25% discount). Anyone knows if there will be an exclusive HP minifig like Luke for the Star Wars Visual Dictionary? Regardless I know I will get the book, but it'll be a fab book if there is an exclusive minifig! There will also be a Lego Harry Potter Ultimate Sticker Collection also released on 16 May, 2011. Kind of meh, unless it has a good fig. I can't see this being that impressive. With the Star Wars visual dictionary you have the added bonus of having a LEGO line that has been going on strong for 10+ years with a huge range of vehicles and figures that closely match their film counterparts. The Harry Potter line has been less consistent with a number of sets that simply fail to capture the spirit of either the book or films. If this book is filled with larger models rather than set photos I would consider giving it a look. I agree, it would be kind of cool if they did it, but it would only be like 10 pages, because the like has been so short lived. Haha, it's supposed to be 96 pages. I thought the Star Wars Visual Dictionary was great so if the HP book quality is not way off the book should still be above average. 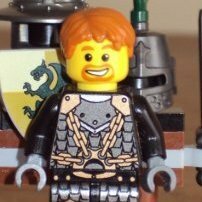 Plus assuming they attach an exclusive minifig then it might be worth getting the book just for the minifig. So far DK has given us fairly good books with great photos, so if nothing else I will get the book to look at the many many (sigh!) HP sets I missed during my dark ages. Great news, I think. I don't have the Star Wars version but I have to say I liked the idea very much. I'm wondering how they'll fill this one up, as the theme indeed was a bit inconsistent. Perhaps lots of drawings of the film version and early sketches of models. A nice figure would be nice, I wonder which one it would be. Anyway, it sounds nice. It will probably contain an exclusive figure, maybe a Huffelpuff or Ravenclaw figure. But anyway I might get it if it turns out to be any good. It would likely just have a figure varient, ala Luke Skywalker - Award Ceremony. Though that was a pretty sweet variant. If it came with a minifig, I would say Harry himself in a different torso that is new and fresh to the already large number of Harry's ! You might want to change the year in the subtitle! Oops! Yes I do but no idea how to change. Is there a tutorial I can refer to change the subtitle? Only a staff member can change the titles and sub-titles of a topic, don't worry though one will be here soon and will do it for you. May 2011? Interesting choice to release a book and sticker set "after the fact", as it were. (Though it'll coincide nicely with the last film, I suppose.) Or is it not confirmed that the actual Lego Harry Potter line itself ends with Diagon Alley in January next year? Sounds interesting. Harry Potter seems to be a really big thing at the moment, so I'd expect there to be enough takers to validate making/releasing it. It would be logical for another wave of Harry Potter sets to appear in 2011 to tie in with the last film, but LEGO hasn't given any indication that that's going to happen. This book could be taken as evidence of a continued line... or, alternatively, it could be being released by itself to tie in with the movie. The latter seems doubtful, though, especially since the point of LEGO-branded books is usually just to market the toys-- something that wouldn't be feasible if the only Harry Potter set out at the time was a LEGO exclusive worth around US $150. Can't wait until further info starts to appear. I probably won't get either book, but it will still be a nice thing to learn more about. That seems pretty likely but I'd like another Weasley. I'd really like to get the whole family. It would be an interesting thing to have. I'm betting it'd be a little different from the SW one, though. If it were up to me, It would include the evolution of the minifigs, pictures of the sets with movie reference shots and information on each. I'd also like them to show what the old sets look like combined together. Also interviews with the designers and rejected/possible set ideas. 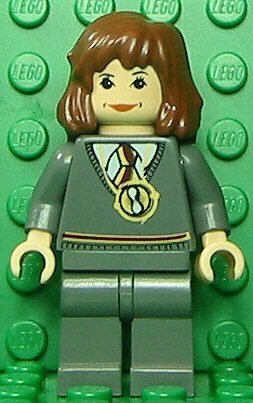 It'd be really nice if they included a Percy minifig, or perhaps a Hermione with time turner. I believe a Time-Turner Hermione appeared in the second Hogwarts castle, which came in the PoA series. I'm fairly sure it was printed on her torso, or did you mean as a separate accessory? She was included in 4754; Hagrid's Hut and 4757; Hogwarts V2. I know that (hope that didn't sound rude, I didn't intend that). I meant that they could take that torso and just put a new head and hair piece on it. you can do that right now if you own the right parts, so it wouldnt be exclusive! Seeing as that torso hasn't been printed in a long time, it would be nice to see it surface again. 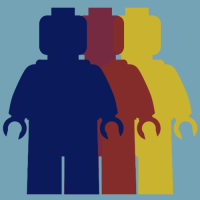 Many people didn't have the chance to get that torso, and even if you could build the figure with the right parts, it was still never officially produced by Lego. Since it is a figure they've technically never produced, I'd consider it to be an exclusive. I can see your point, though. It would be nice to have a completely new figure. Just next time you try to make a point to another board member, try to do so without sounding so sarcastic (In other words, don't end your sentences in !'s). What if the figure was the Dursleys or James and Miss Potter, that would be cool. Although, that would be figures, plural. And I believe it comes with a single figure. But, in response to you it would be nice to see either of those sets of parents. I missed out on Vernon when he made his debut. Hopefully it comes with a character we haven't seen yet, or a character that is already available to go with the upcoming deathly hallows movies.